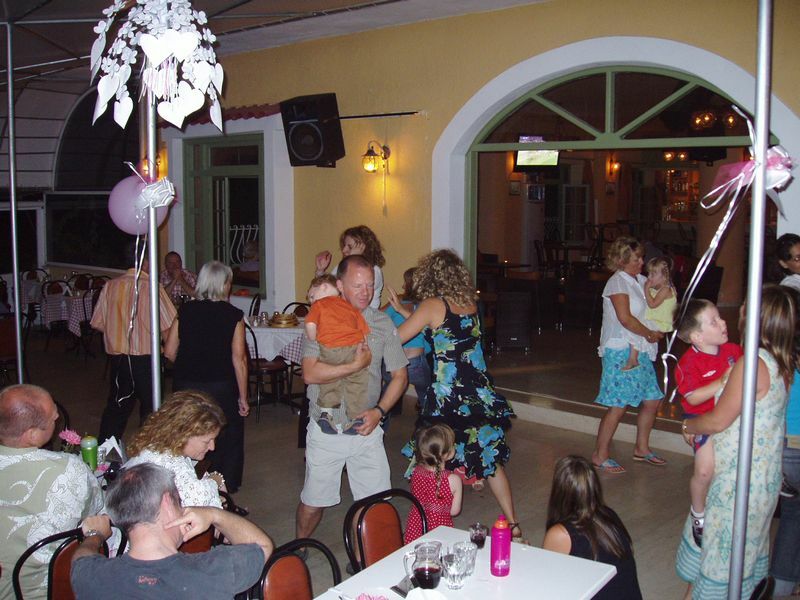 Restaurant – Bar – Taverna – Snak bar – Accommodation. 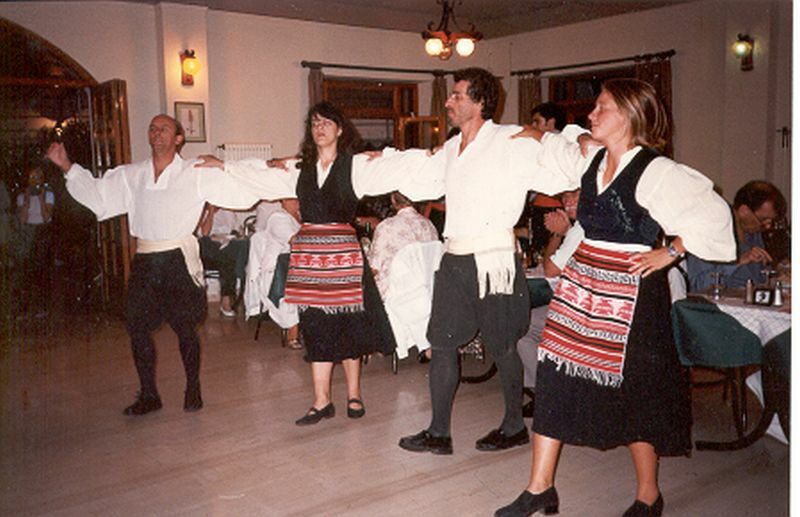 Dancers from the Ionian Dance troupe performing Traditional Greek Dances in six(6) different parts, dressed in three(3) different traditional Family Greek Costumes, giving you the spirit of our Greek culture. 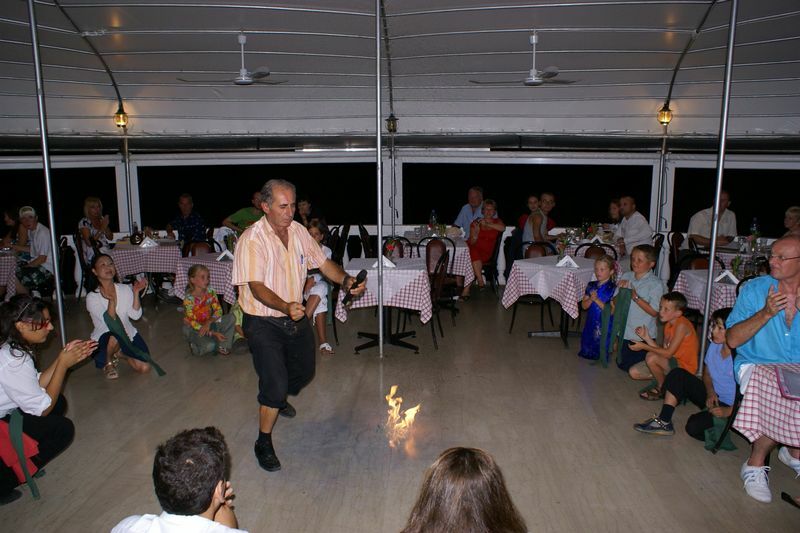 UNDERNEATH KIDS WILL HAVE THE BEST TIME WITH OSKARS AND GET ENTERTAINED, ALSO WILL LEARN HOW TO DANCE ORIGINAL GREEK DANCES. 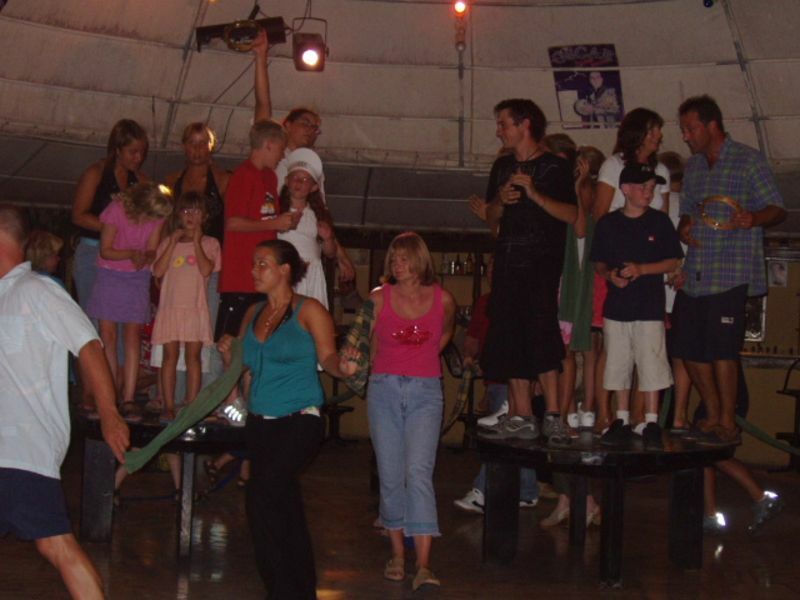 THE PARENTS AND THE CUSTOMERS WILL ADMIRE THEM. 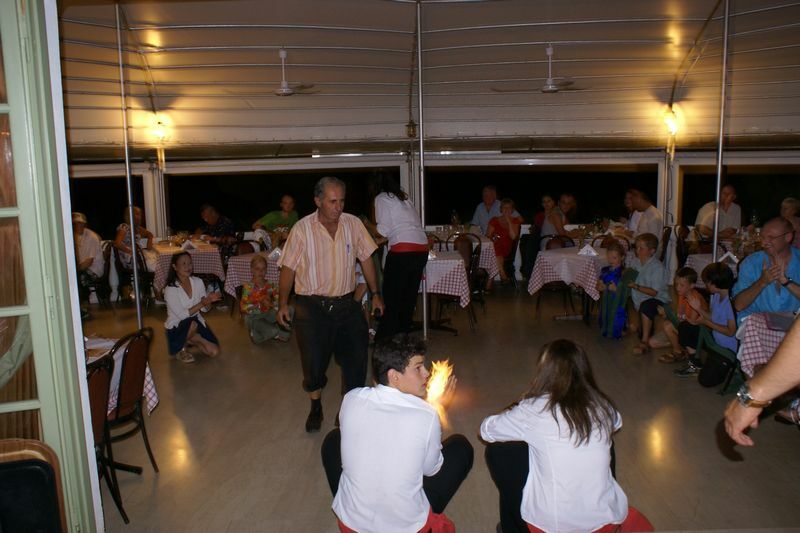 guest have a best night at Oskars Fanari road Lassi Kefalonia. 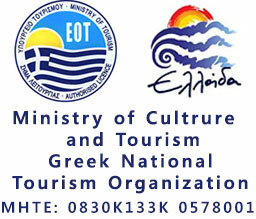 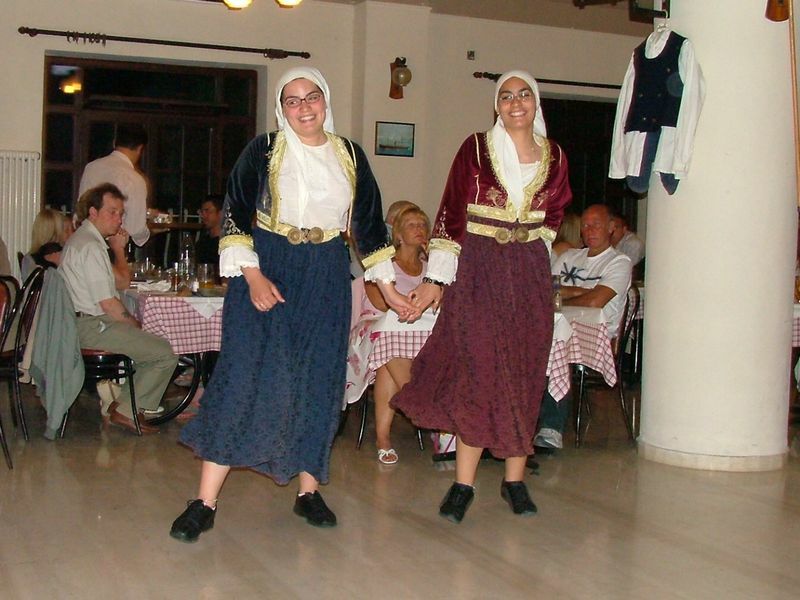 The first selection will be various Kefalonian dances.Balos, Mermigas & more dressed in traditional kefalonian costumes. 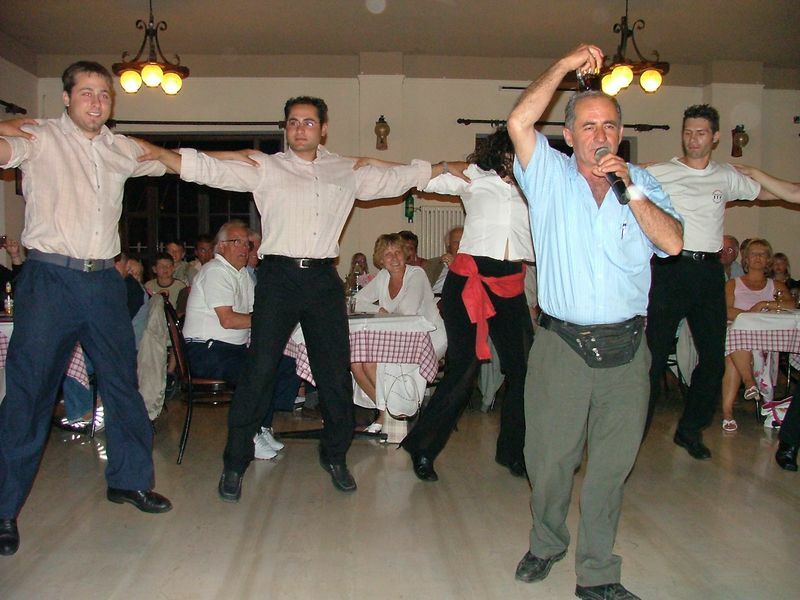 Let’s dance! 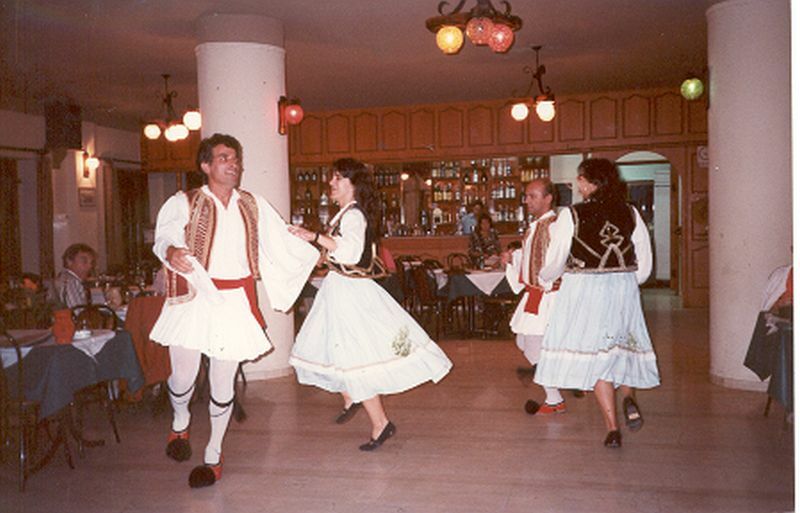 In the second section National Greek dances, Tsamikos, Kalamatianos & more in Traditional National costumes. 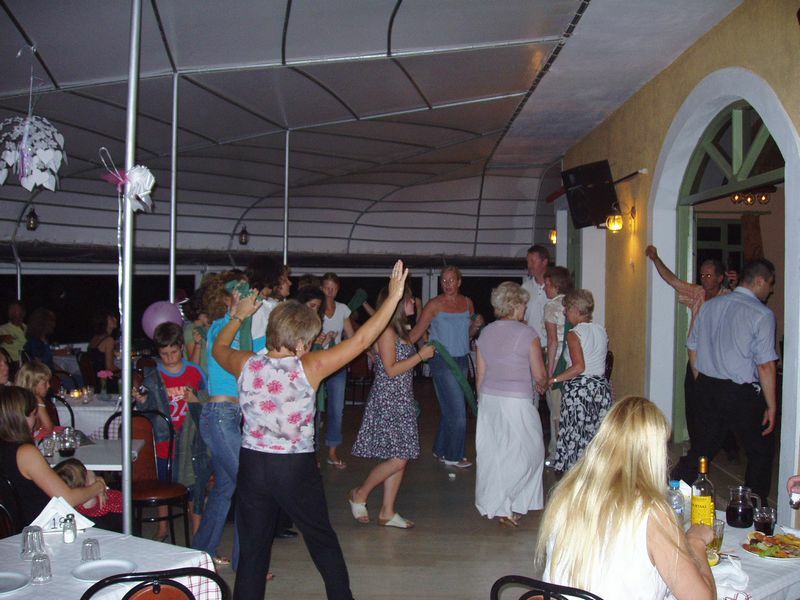 Walk in, dance out!!! 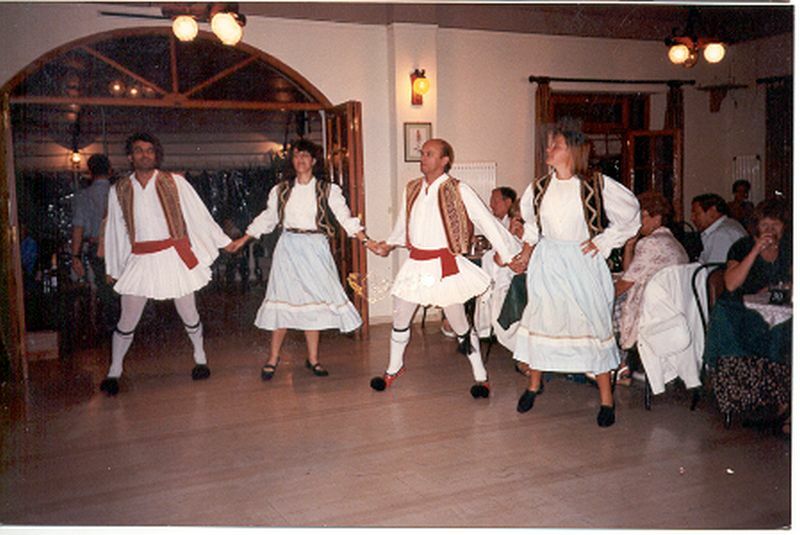 Hasaposerviko & more Dressed as Zorba The Greek. 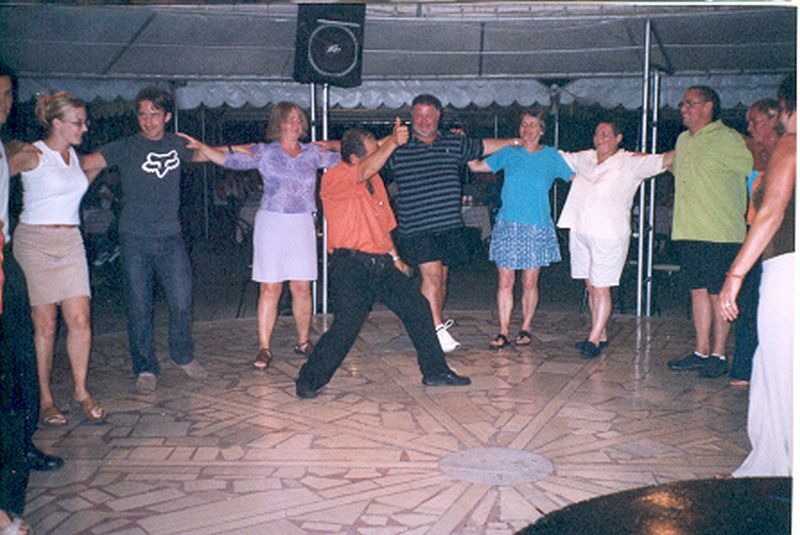 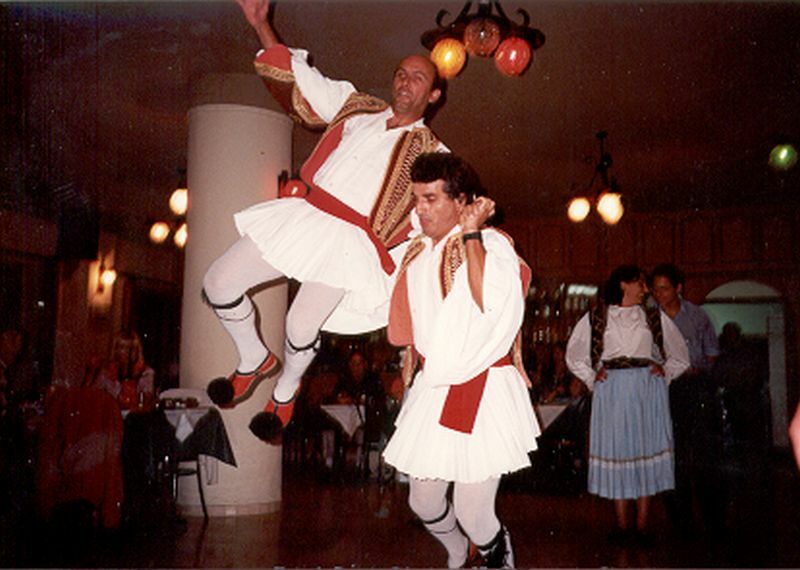 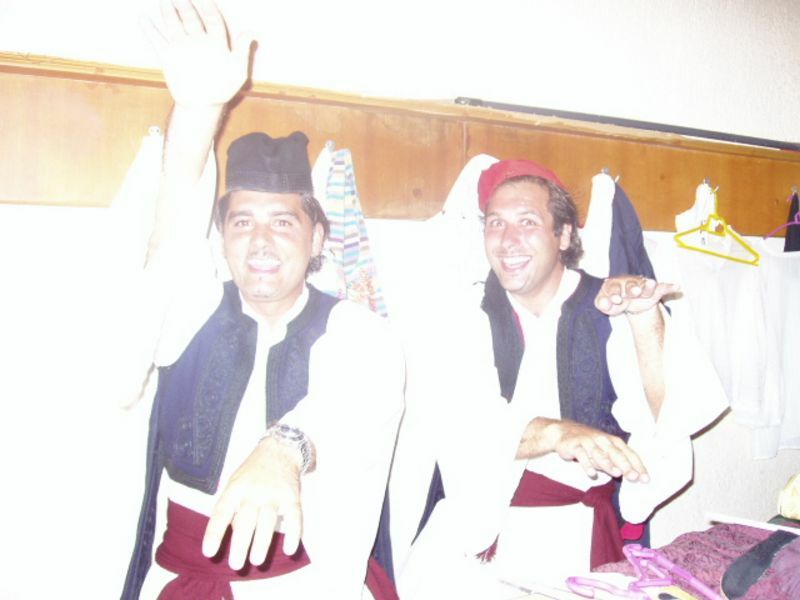 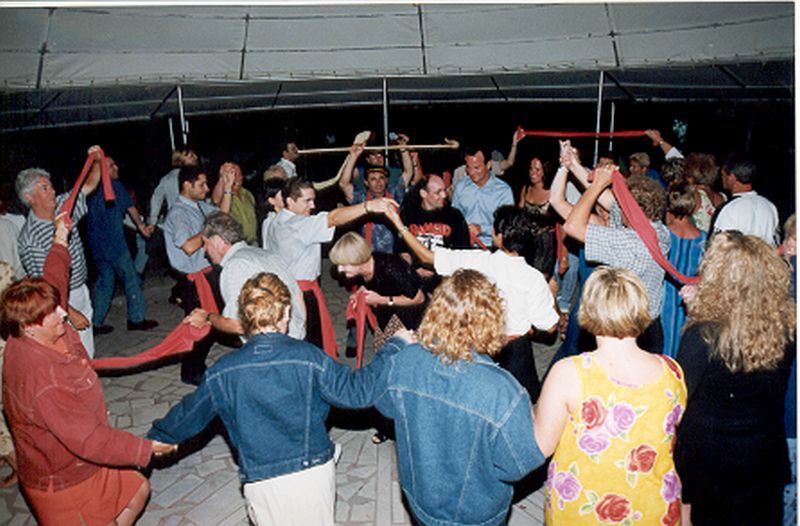 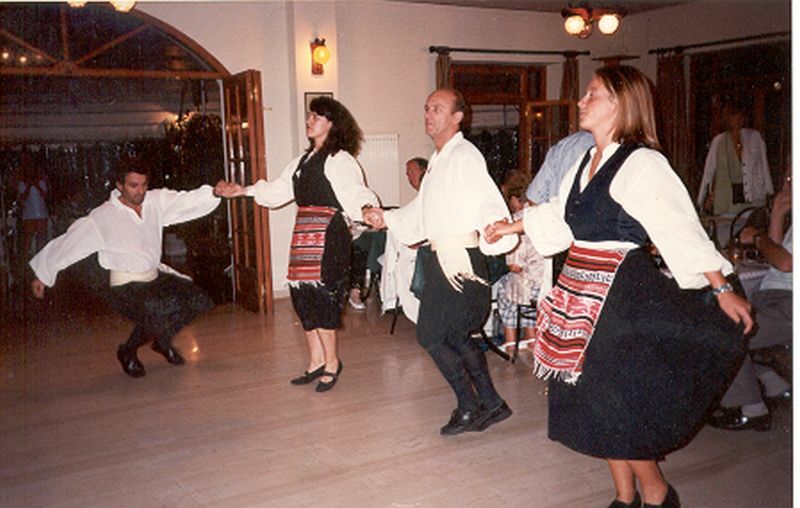 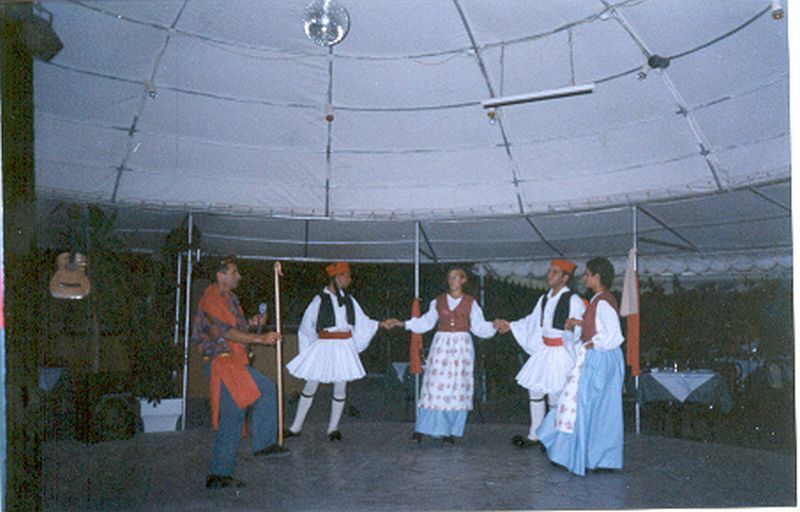 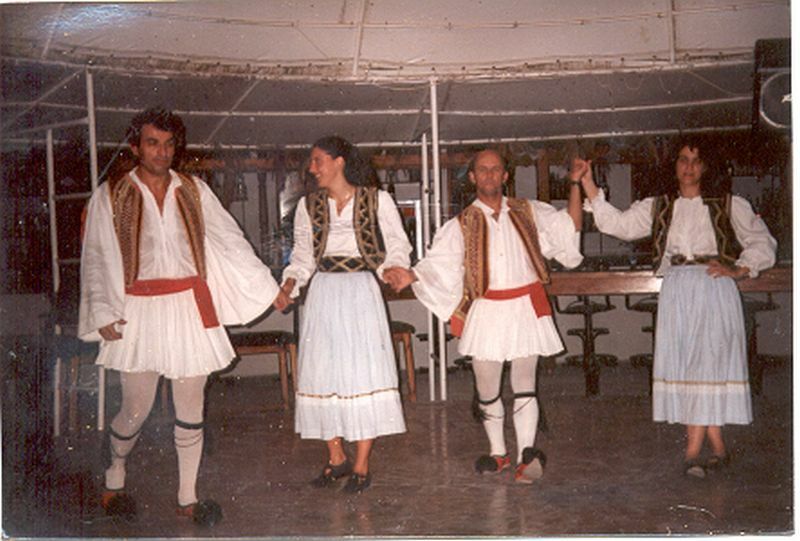 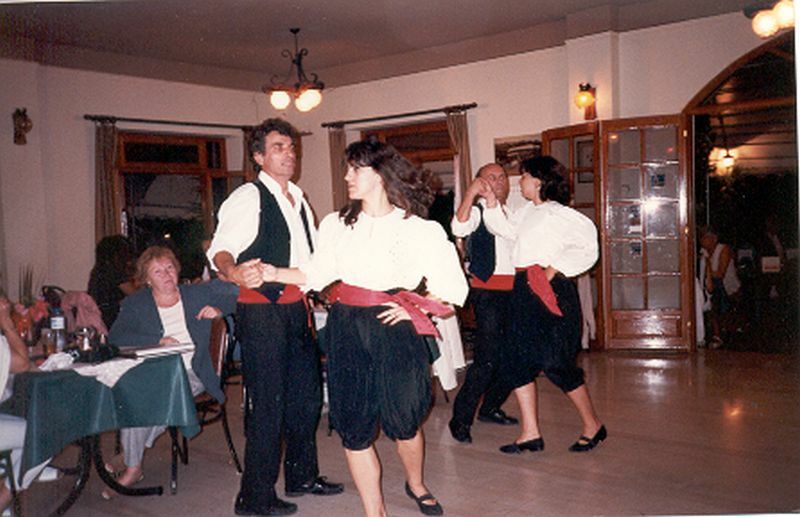 In the fourth section the IONIAN DANCE TROUPE will teach you the Hasapiko and Syrtaki. 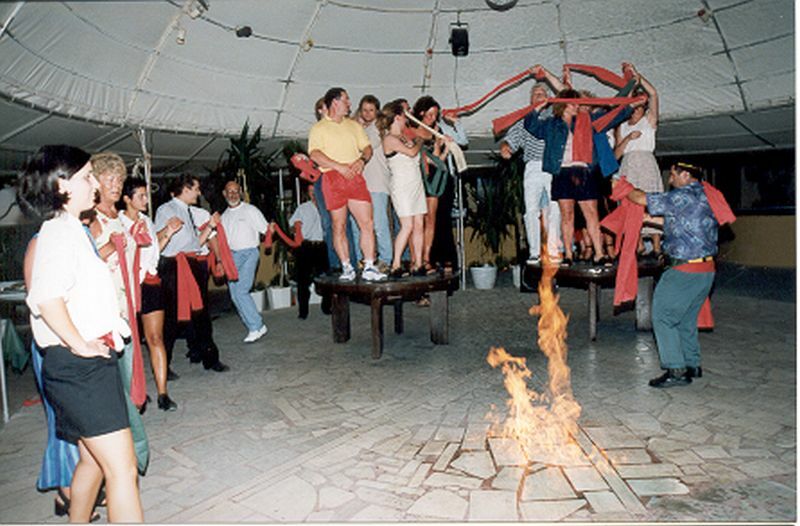 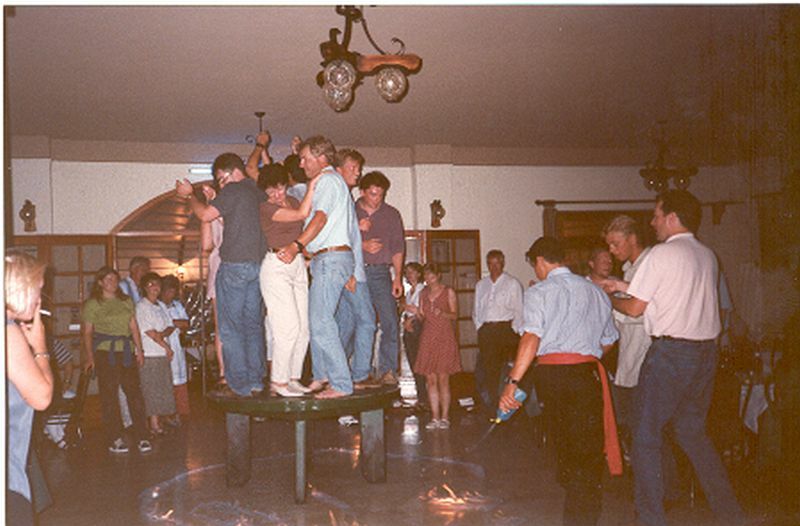 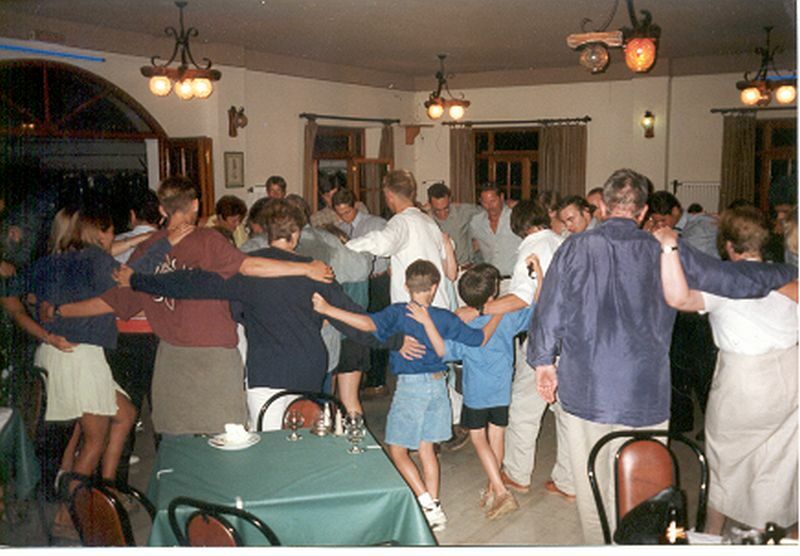 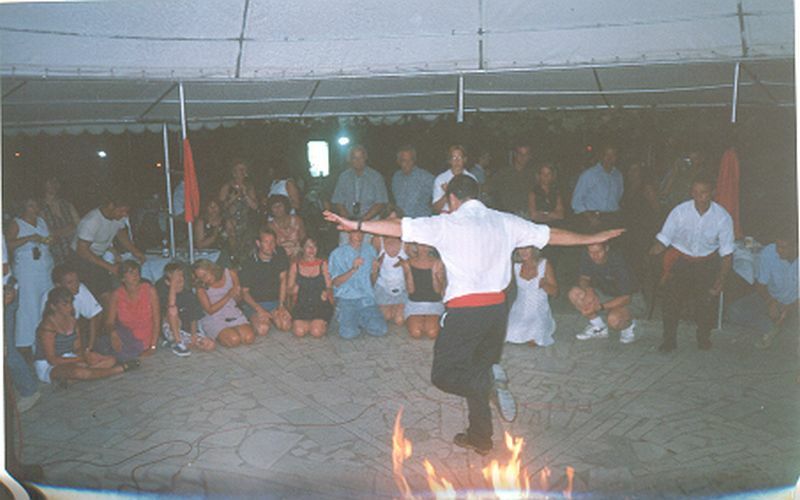 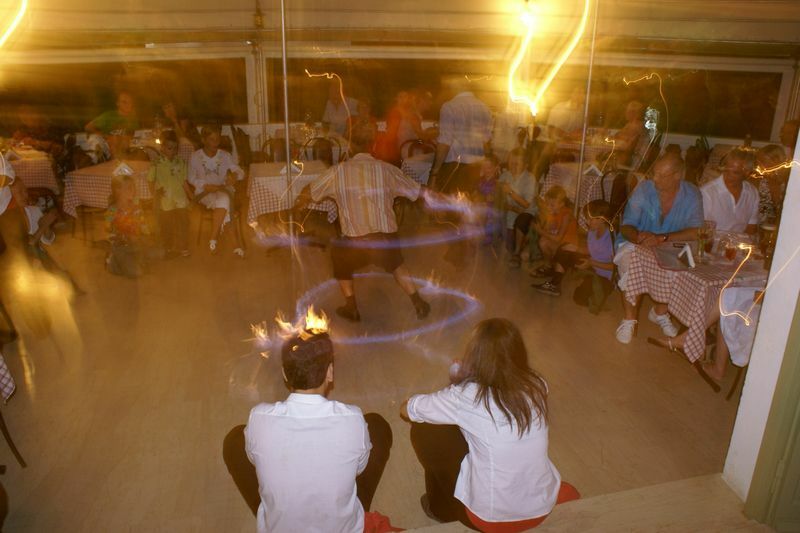 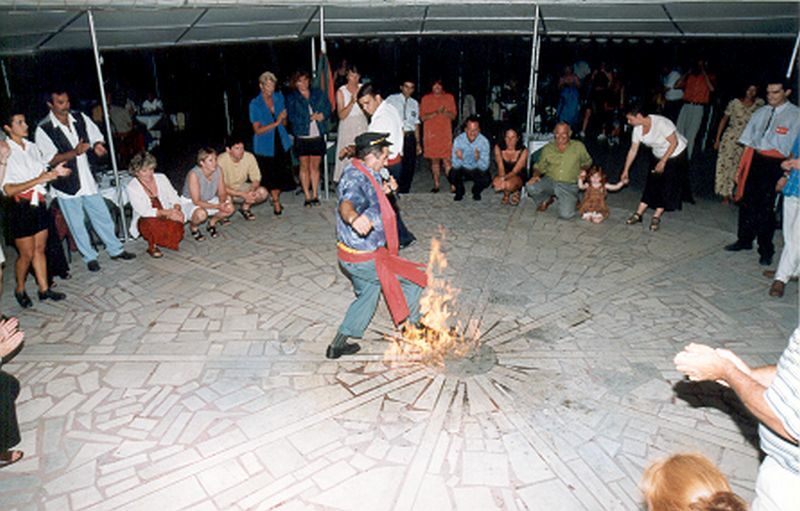 The troupe will then dance the Zebekiko Surrounded by flames and Tsifteteli on the table tops. 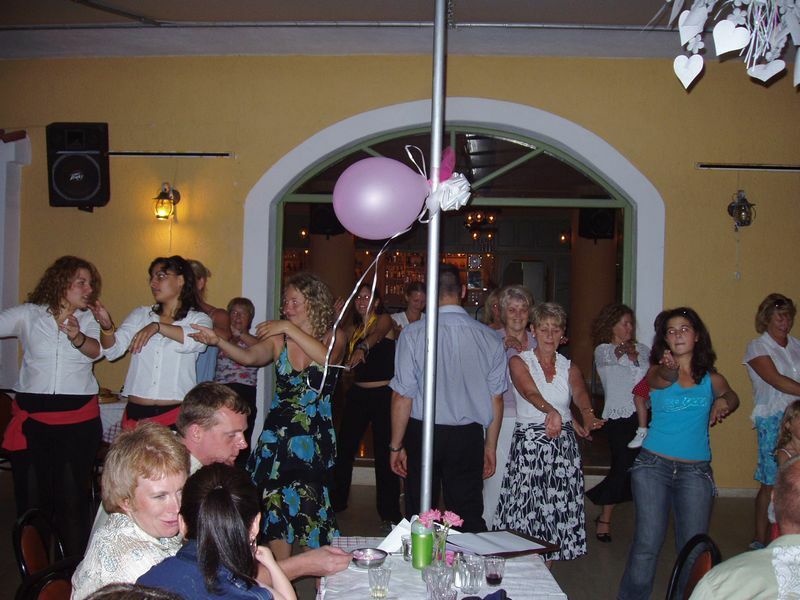 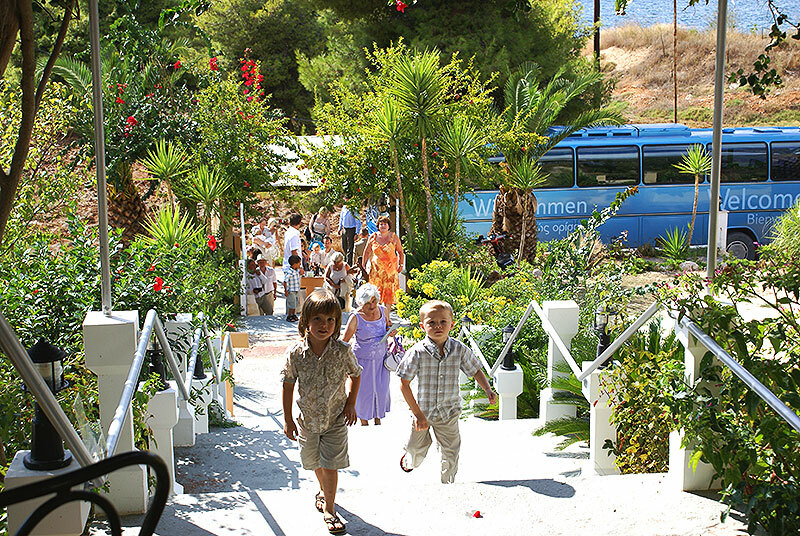 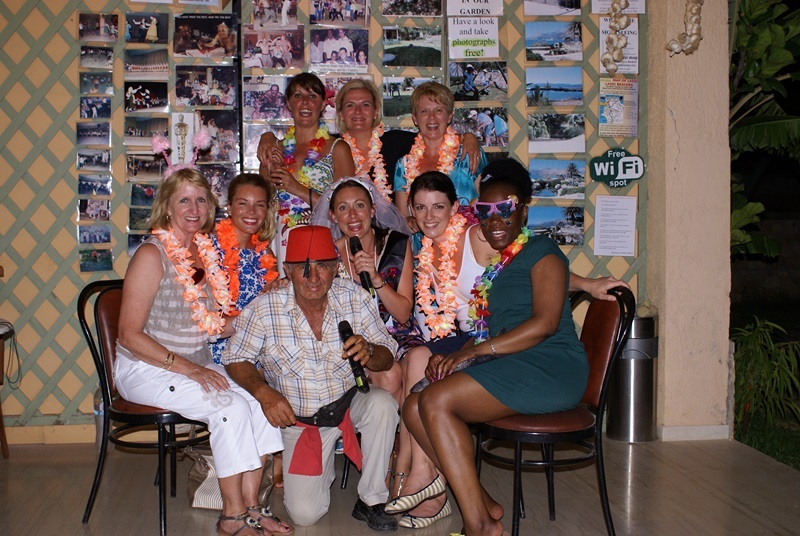 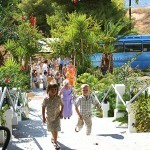 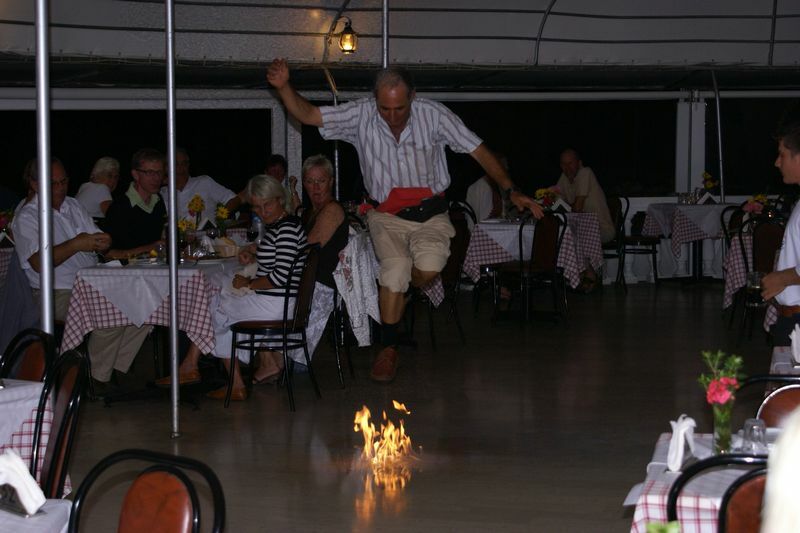 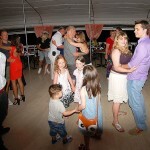 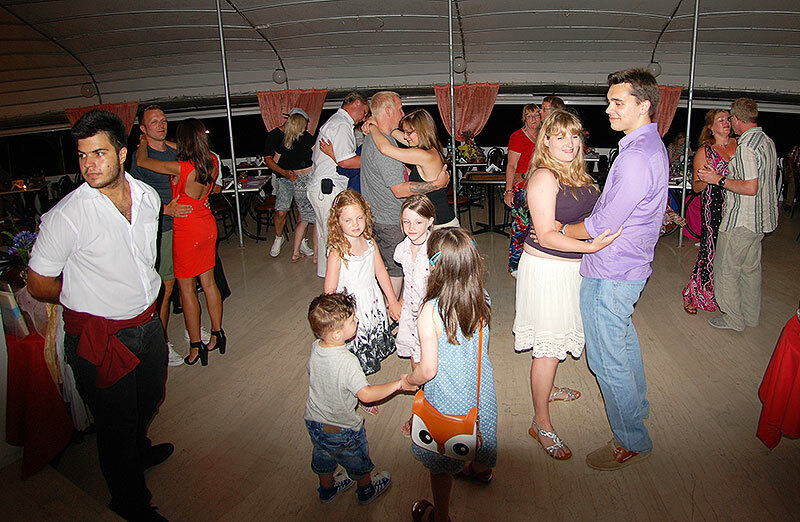 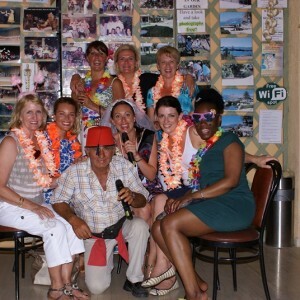 The fun continious with great join and pleasure so will have an unforgetable night in Kefalonia. 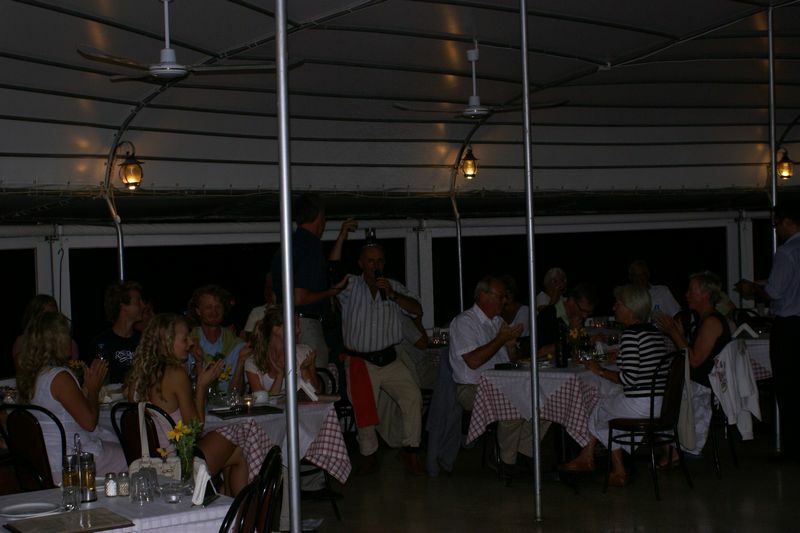 Becuse the service the food the entertaiment and the view is excellent! 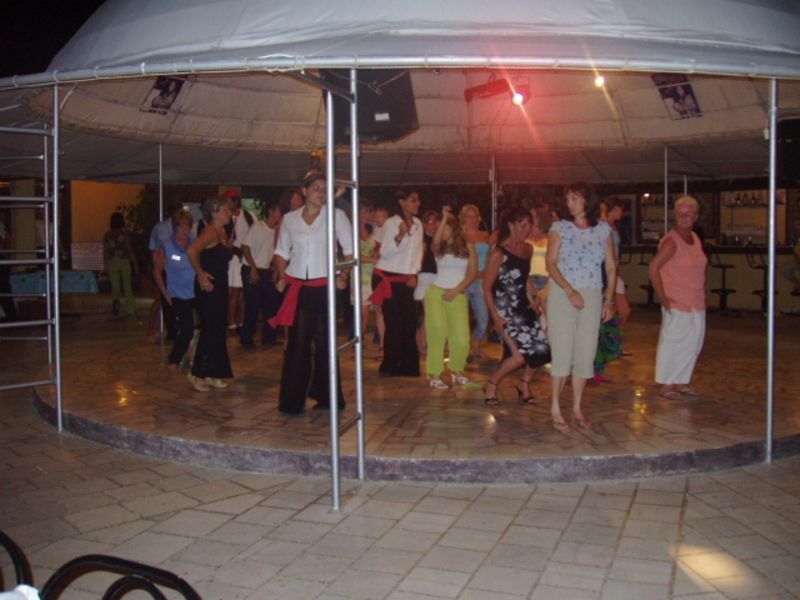 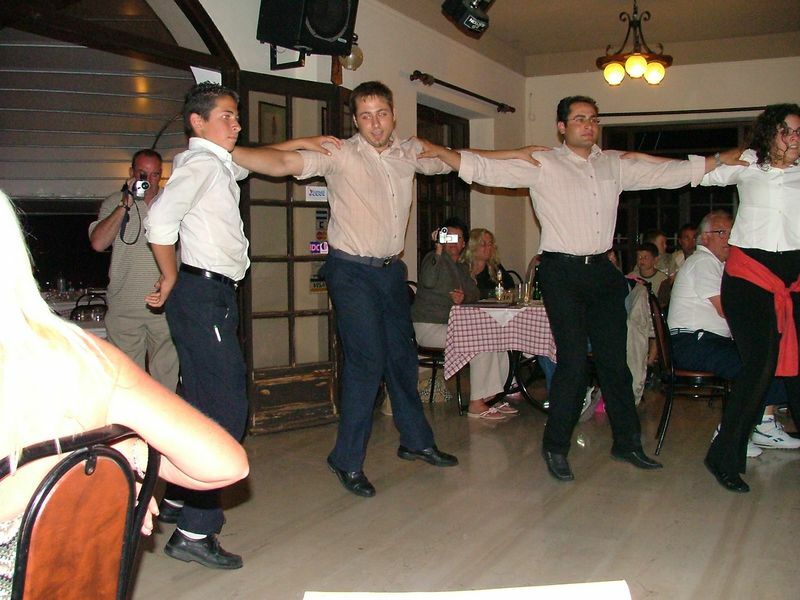 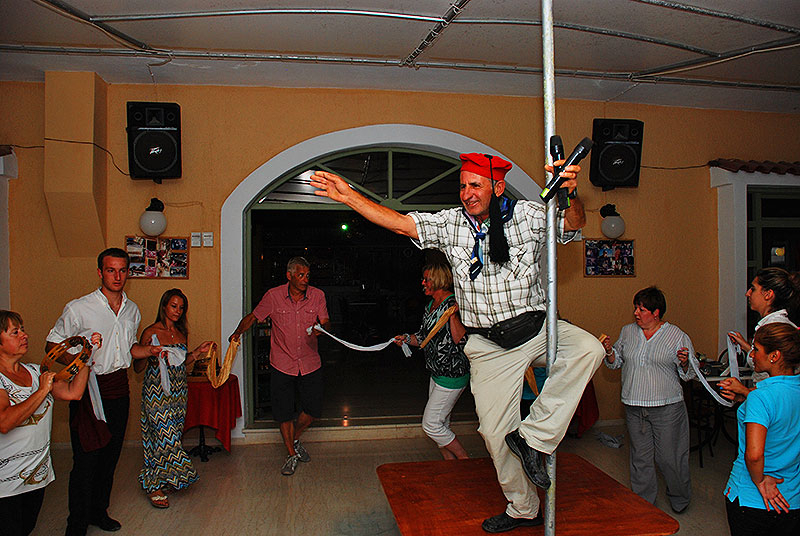 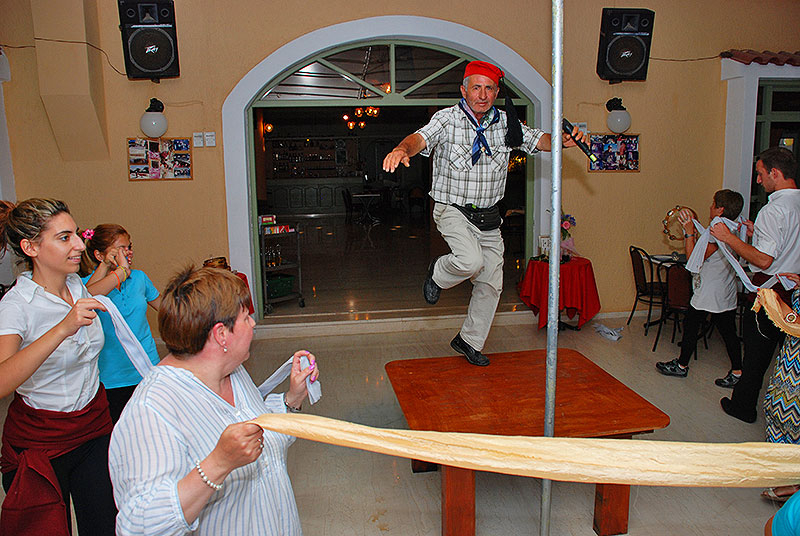 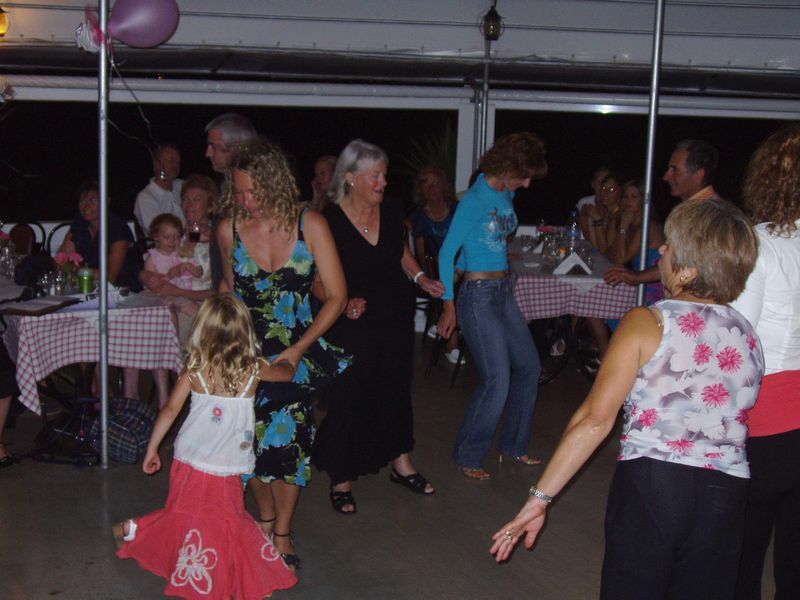 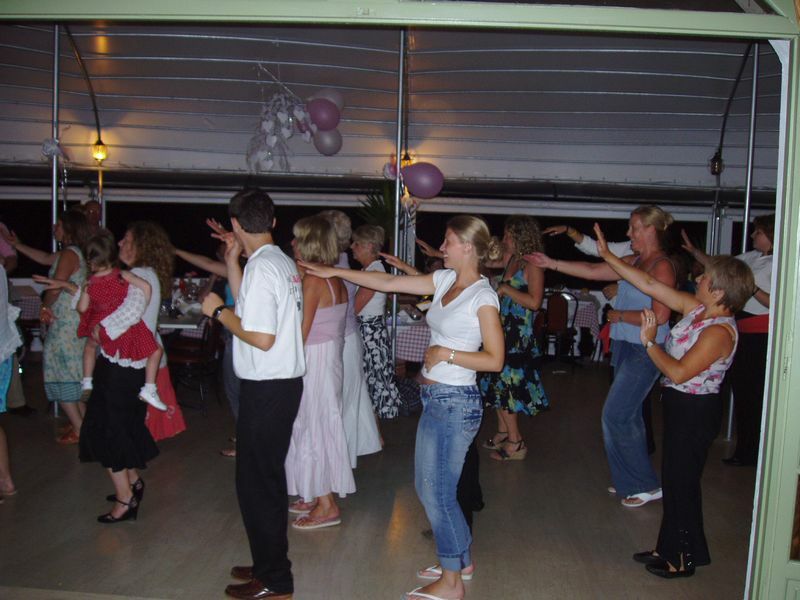 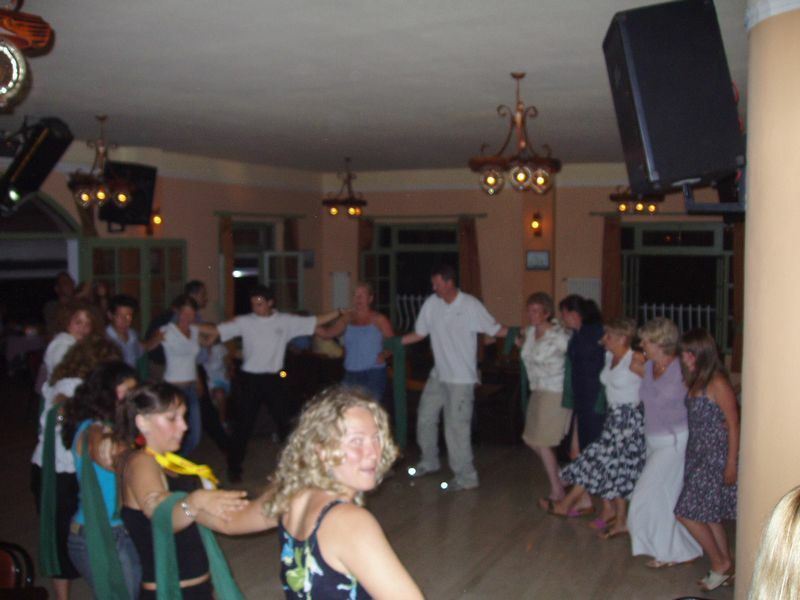 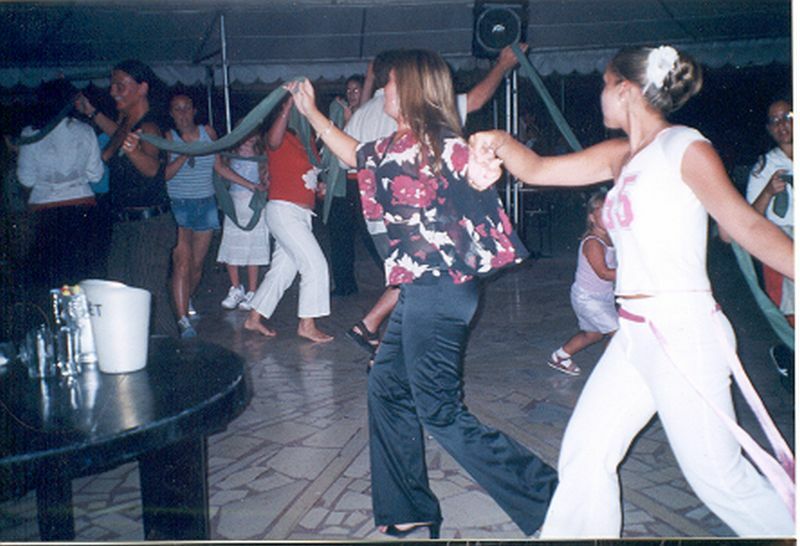 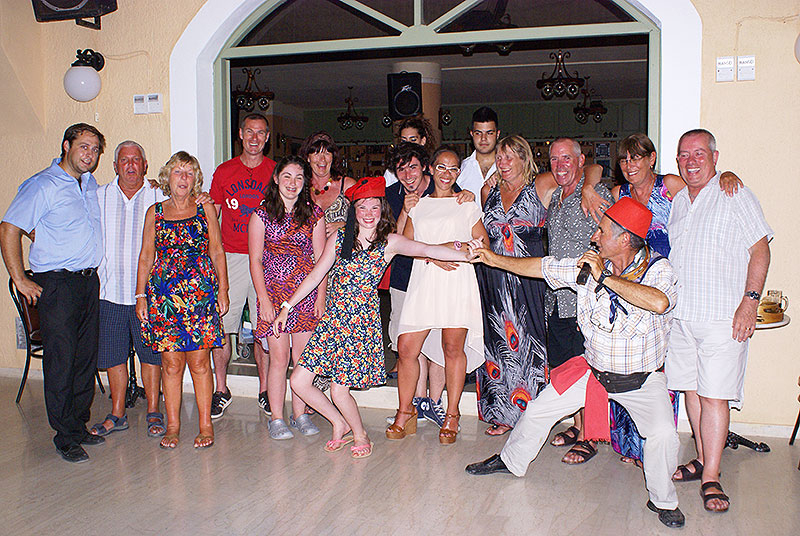 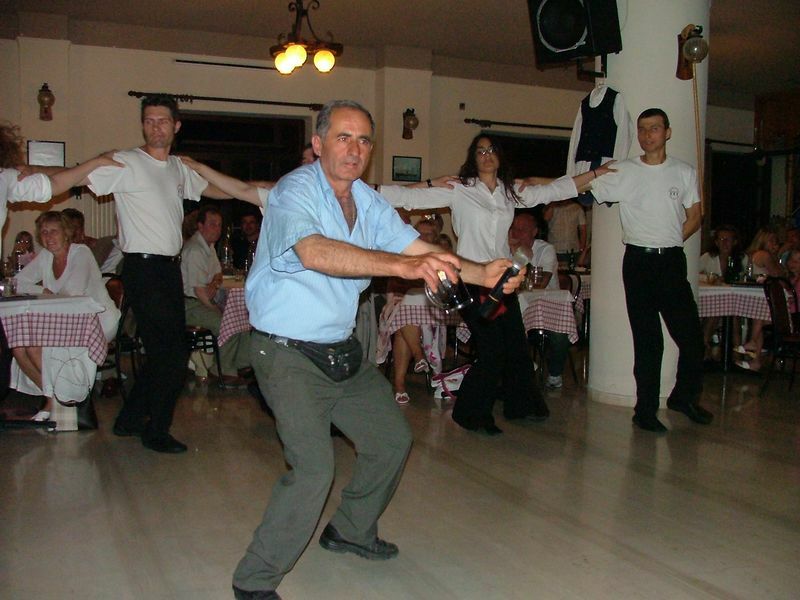 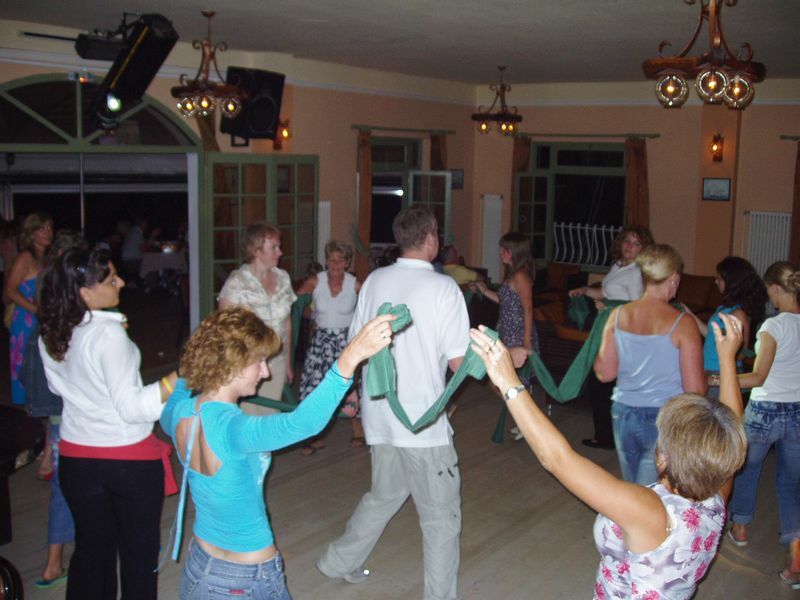 After the excellent service, our friendly staff will dance Hassapiko and Sirtaki dances for you and Makis will teach you how to dance Zorba the Greek dance followed by more Greek dancing with the staff.